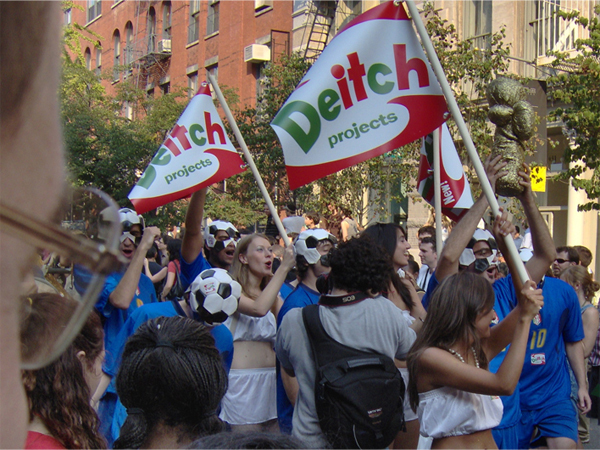 The ITALIA Project is a performance conceived for the second annual Art Parade, a street happening organized in New York by Deitch Projects, Creative Time and Paper Magazine. 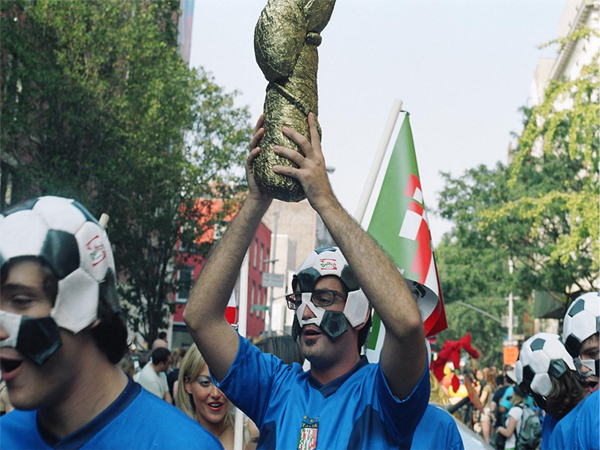 During the summer of 2006, the Italian national soccer team won the World Cup and thousands of people around the world celebrated the triumph. 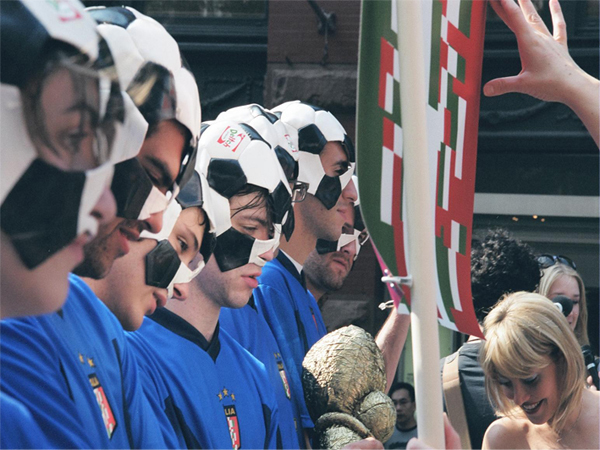 The ITALIA Project is a performance of eleven fake players grappling with soccer balls in the streets of Soho, joined by models waving pixelated Italian flags. The players wear masks made cutting soccer balls. 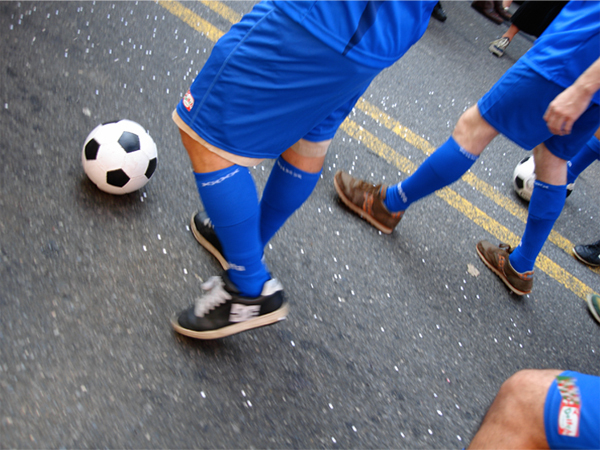 The project involved the audience by improvising occasional street soccer games and singing popular hymns.